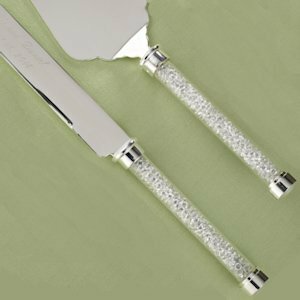 Let this wedding cake cutter set reflect your love! 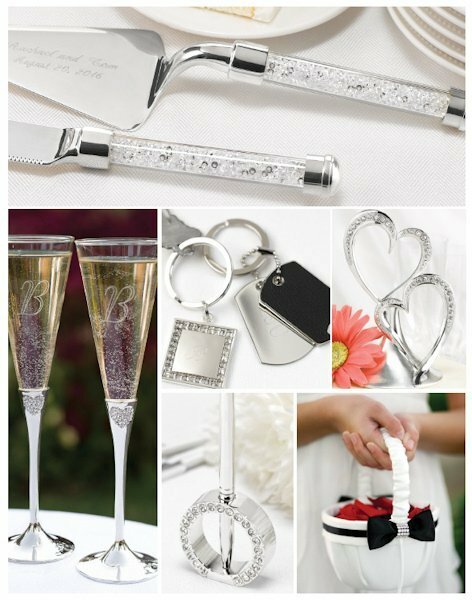 A unique clear handle is filled with glittering glass beads to accentuate the sparkling element at your reception or special event. 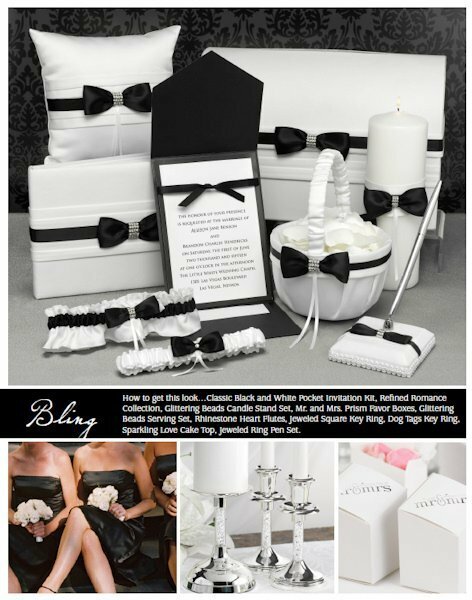 The set will add an elegant touch to your cake table and allow you to serve it up in style. 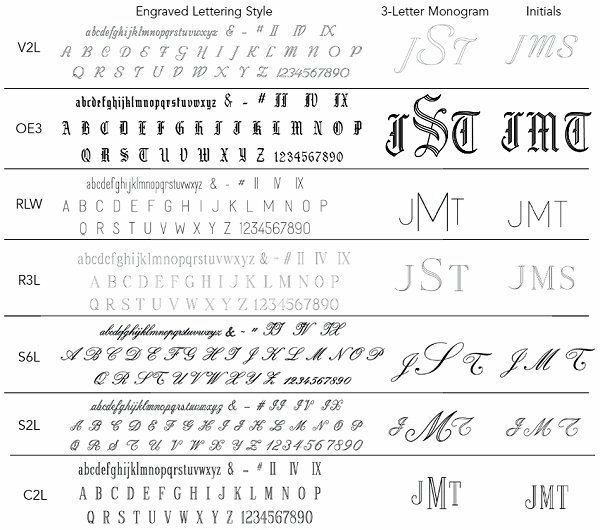 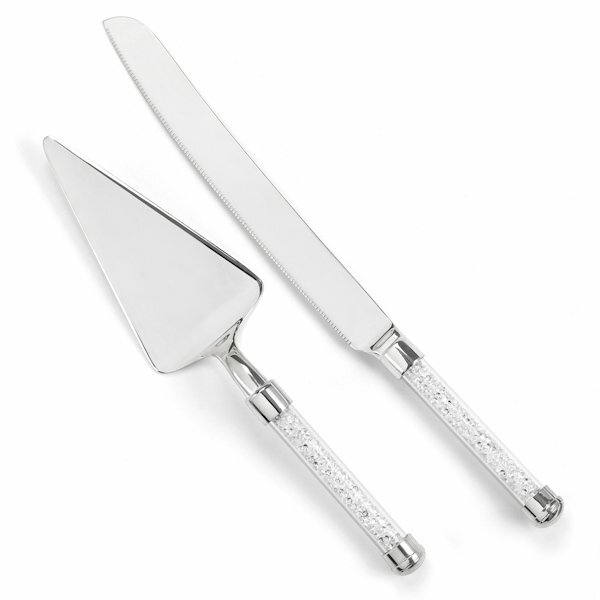 The scalloped cake server and straight-edged knife can also be optionally personalized with your names and wedding date. 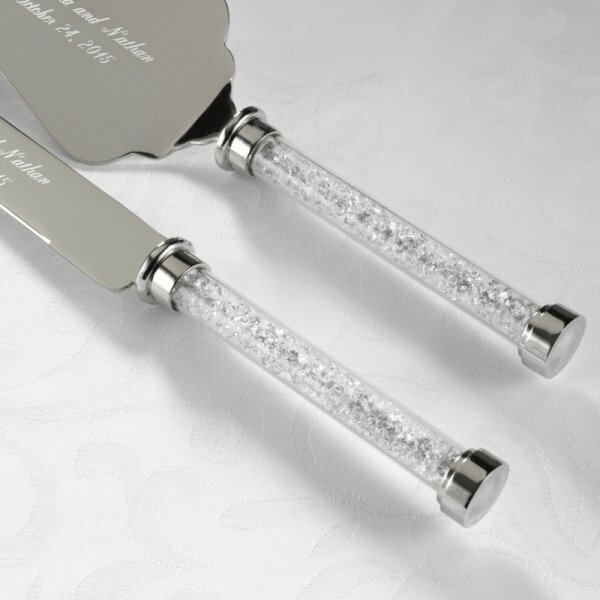 Be sure to check out the matching Glittering Beads Toasting Flutes as well!